Yellow Out Swimming Pool Chlorine Shock Enhancing Treatment - 2 x 4 lbs. Clean up pool algae quickly with the Yellow Out chlorine shock enhancing treatment. Yellow Out is a chemical breakthrough that, when used in conjunction with pool shock, eradicates yellow/mustard, green, brown, and pink algae from swimming pools. This powerful product is simple to use, requires no brushing, and cleans up algae gently without the use of harsh chemicals that can damage and stain pool surfaces. Yellow Out is also safe, non-toxic and can be used on all pool surfaces, including vinyl liners. If you have a chlorine generator, that's no problem either as Yellow Out is incredibly versatile. Once you follow the instructions for balancing your pool and add the recommended dosage of Yellow Out, add a shock treatment five minutes later and then run your pump and filter for 24 hours. Dosage: 2 lbs. per 15,000 gallons. Quantity: 2 x 4 lb. Bottles. Yellow Out Swimming Pool Chlorine Shock Enhancing Treatment - 4 lbs. Clean up pool algae quickly with the Yellow Out chlorine shock enhancing treatment. Yellow Out is a chemical breakthrough that, when used in conjunction with pool shock, eradicates yellow/mustard, green, brown, and pink algae from swimming pools. This powerful product is simple to use, requires no brushing, and cleans up algae gently without the use of harsh chemicals that can damage and stain pool surfaces. 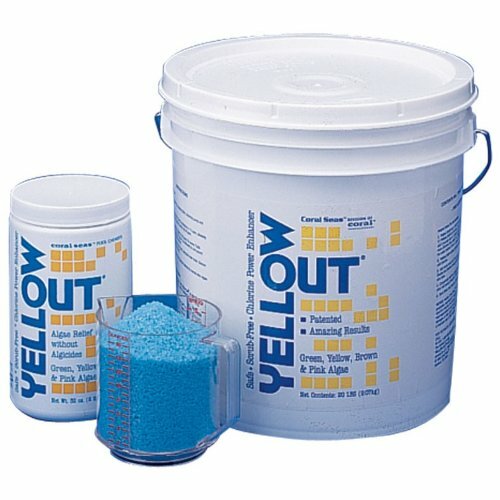 Yellow Out is also safe, non-toxic and can be used on all pool surfaces, including vinyl liners. If you have a chlorine generator, that's no problem either as Yellow Out is incredibly versatile. Once you follow the instructions for balancing your pool and add the recommended dosage of Yellow Out, add a shock treatment five minutes later and then run your pump and filter for 24 hours. Dosage: 2 lbs. per 15,000 gallons. Yellow Out Swimming Pool Chlorine Shock Enhancing Treatment - 2 lbs. 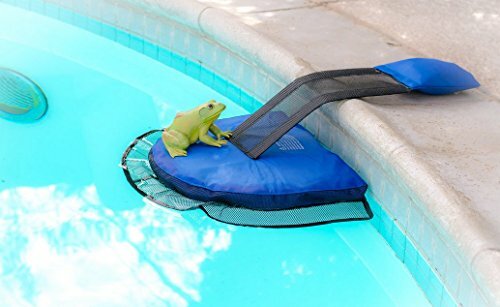 This pool safety critter escape ramp device is the best and finest in its industry. It ensures a long product life, and many saved lives of animals and critters along the way! Unlimited LIFETIME Guarantee - ensures satisfaction with every purchase! So STOP waiting, scroll up, and buy yours RIGHT NOW! It'll be at your door in 2 days. 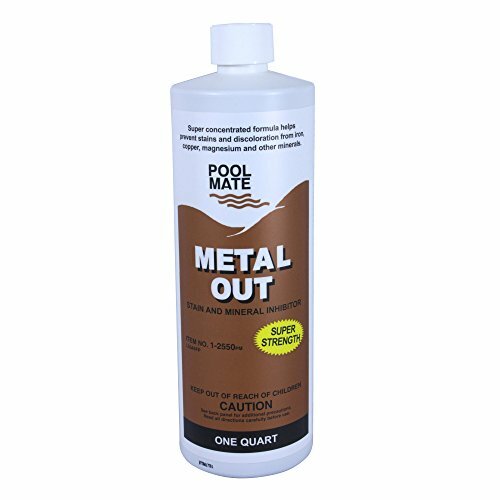 Metal Out helps you quickly remove metals and complex minerals from your swimming pool. The specially designed formula chelates complex minerals that naturally occur in some water supplies. 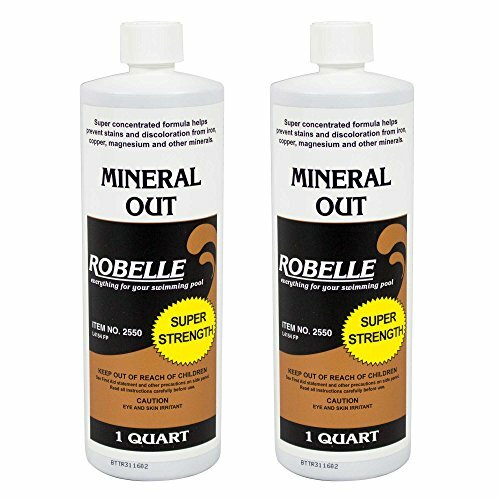 Minerals, such as iron, copper or magnesium, can cause stains and discolored water. Metal Out is concentrated, ready to use, and will not interfere with chlorine, algaecides or stabilizers. 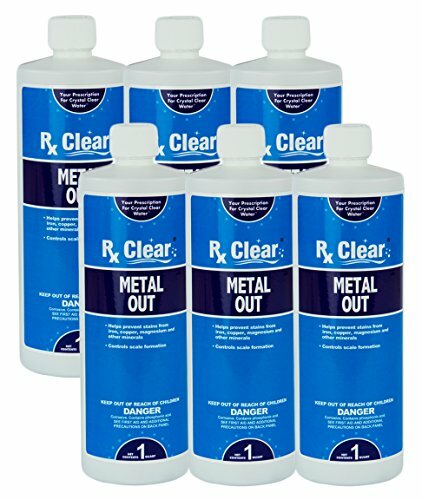 When used regularly, this product will help prevent scale buildup and mineral precipitation caused by other chemical additions. A bird repellent designed for use in swimming pools and ponds. Comprised of an EVA base and reflective discs to scare away birds with light reflections. 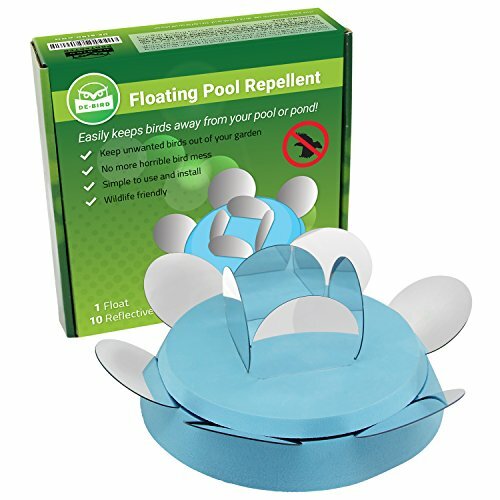 The repellent is designed to be placed in a swimming pool or pond and reflect light to scare birds. In The Swim Super Floc Clarifier thoroughly settles suspended particles to your pool water so they can be easily vacuumed to waste. 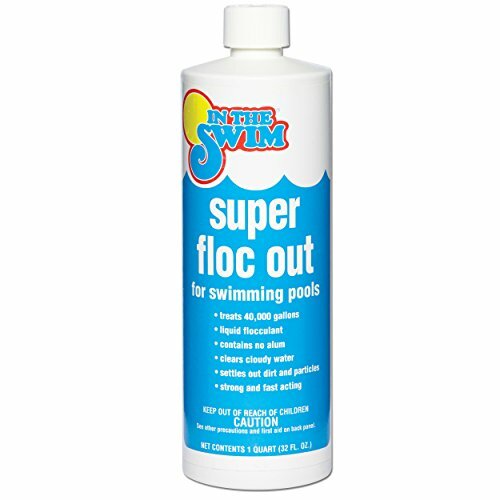 Super Floc Out will help you remove dead algae, organics, oils and lotions, is safe for all pools and filters, and will not affect pH or other water properties. Just squirt Super Floc over water's surface and watch the debris settle to the bottom of the pool. After adding Super Floc Clarifier run your pump for two hours and then shut it off and wait 12-48 hours for everything to settle to the bottom and then vacuum to waste. Dosage: 8 ounces per 10,000 gallons.